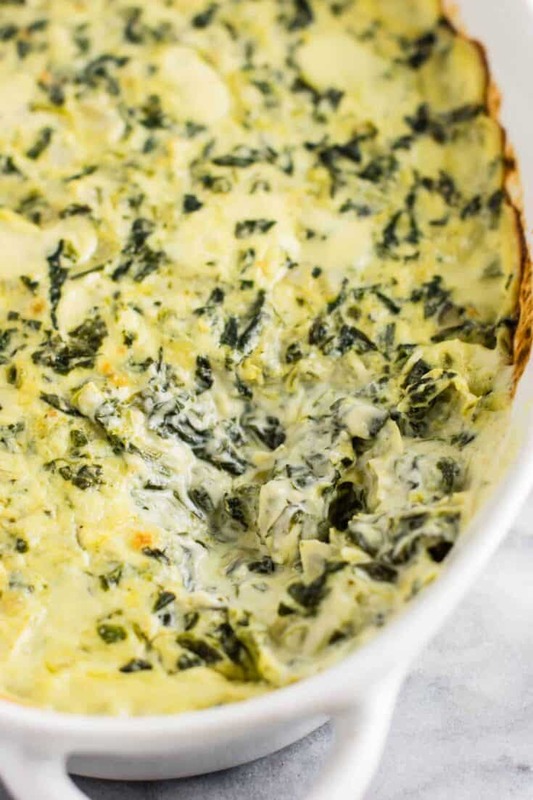 The best creamy spinach artichoke dip with freshly grated parmesan and havarti cheese. 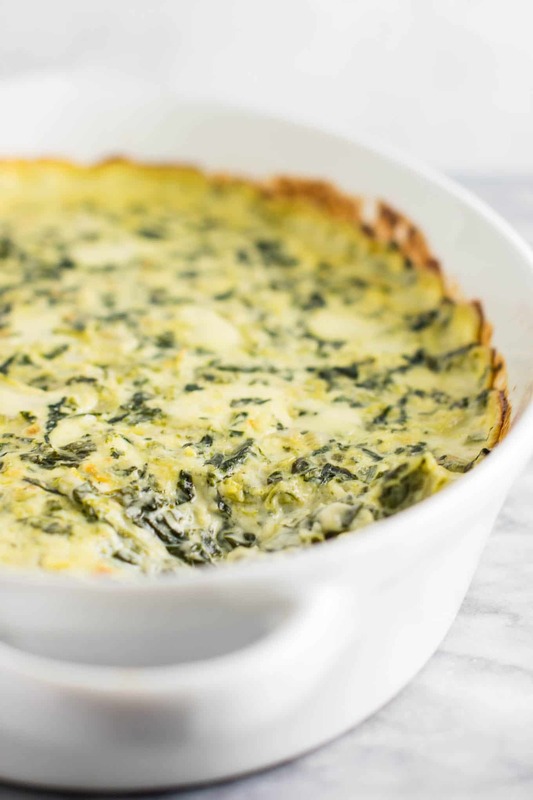 Everyone will love this classic appetizer! I like to have classic dishes that I know are always easy to make and always delicious to bring to any type of party or gathering of friends or family. 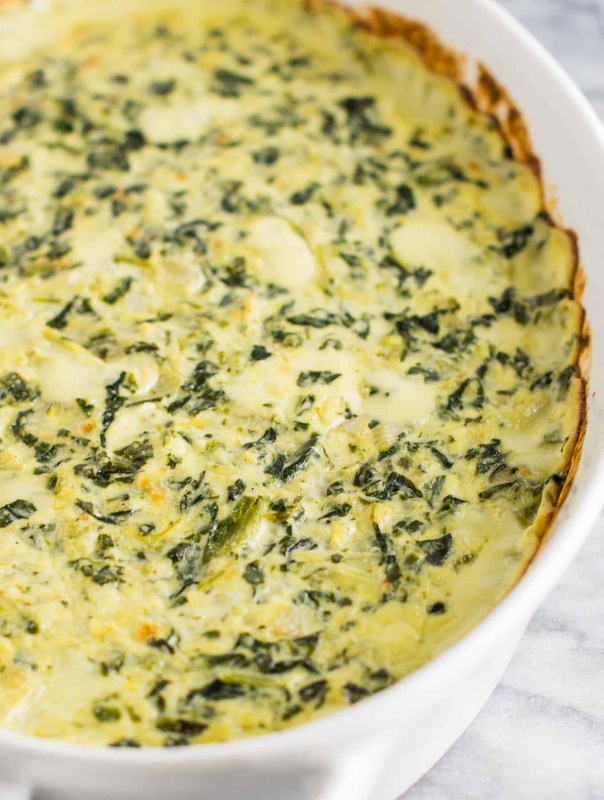 This spinach and artichoke dip is my classic go to recipe for an appetizer. I have taken it to Christmas parties and baby showers, as well as served it for the Superbowl. Every time it comes out perfect, and every time there are rarely any leftovers to be eaten! 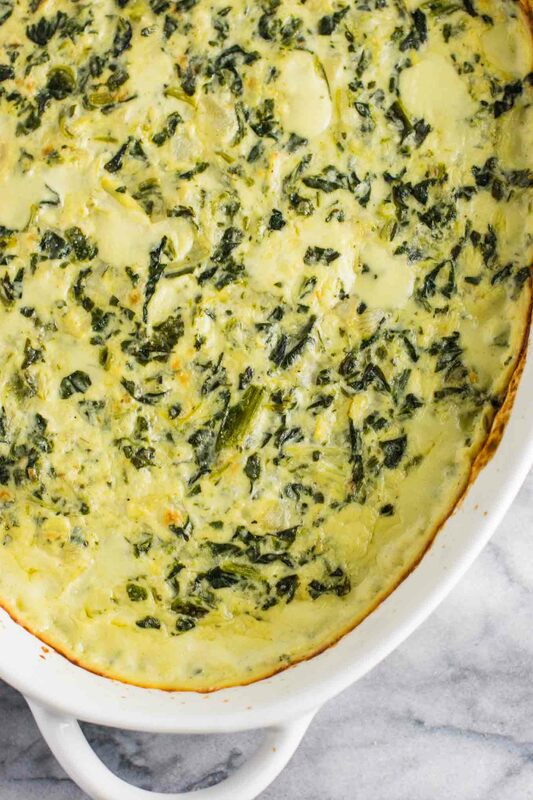 To make this dip, I use three types of cheeses for ultimate creaminess. You will need cream cheese, and freshly grated havarti cheese and parmesan cheese. Freshly grating your havarti and parmesan makes for big flavor. If you have tried many of my recipes, you know how much I try to stress that grating cheese is the best way to go. 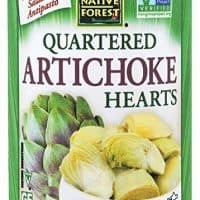 A few minutes grating it and the flavor is SO much better than anything you can buy pre shredded. I also use fresh garlic and onion for more flavor punch. I suggest cooking the garlic/onion until soft, then blending it up until smooth. When we do it this way, you get that great garlic and onion flavor without any chunks in your creamy dip. The last time I made this there were no leftovers at all. Just serve with tortilla chips or crackers and watch it disappear! Not going to lie, I’m a little sad I don’t have any to eat right now because I’m craving it like crazy! All you need is just a few simple ingredients and less than 40 minutes to make this recipe. I’m willing to bet it will be your new favorite appetizer! 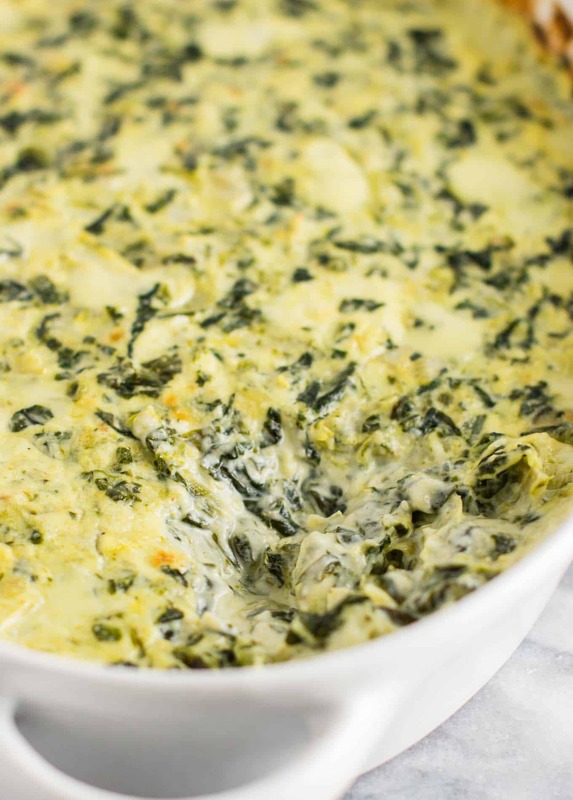 The dip is so creamy and cheesy and full of flavor, perfect for a Super Bowl party! 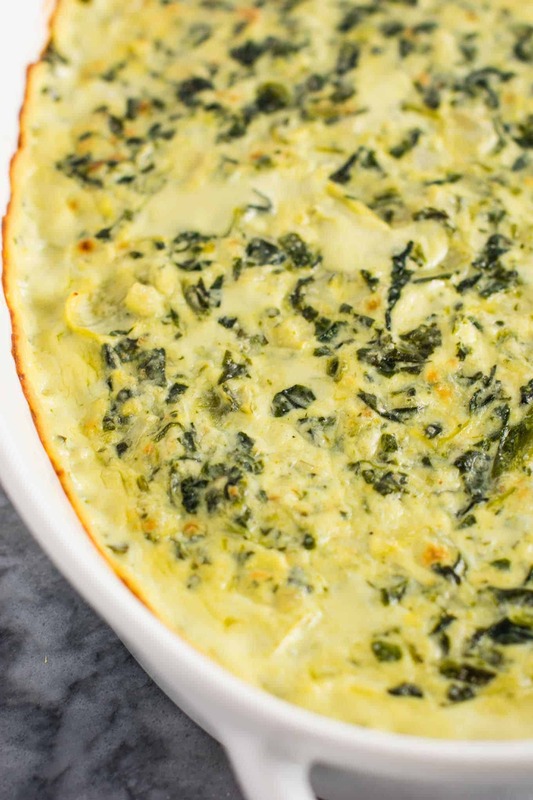 The creamiest spinach artichoke dip guaranteed to be a crowd pleaser! Combine onion, garlic, olive oil, sea salt, and pepper in a skillet. Sautee for 5-10 minutes or until onion is translucent and starts to brown. While onion is cooking, combing all remaining ingredients in a saucepan and stir on medium heat until all cheese is melted and mixture is hot. Thanks Ashley! Yep, my hubby’s team lost too but we will definitely be watching the super bowl with lots of yummy snacks too!! Wow this looks delicious. Cannot wait to make this at home. My family is gonna love this for sure. Thank you so much for sharing!